Please click here for a text only list of player pen pictures or here for a current squad list - useful for opposition programme editors. 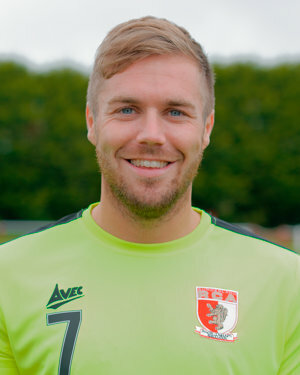 James starts his fifth season at the club, having previously played for Spennymoor Town FC after being released by Sunderland AFC and Hull City. James is a versatile player who can operate in both midfield and defence. He has good vision and awareness and his defence splitting passes and free kicks are a joy to watch. Stephen starts his fifth season with RCA. Stephen is a pacy and dynamic player who is equally at home on either wing or played up front as a striker. Strong and powerful, he has great touch and control on the ball and possesses a terrific shot which will see him produce his fair share of goal scoring opportunities. Michael is another player who is starting his fifth season at the club. He is well liked by the fans because he makes things happen on the pitch. He is a fast, tricky winger who likes to run at defenders. Very direct in his play, he also possesses the ability to cross the ball at pace into the danger area. 100% energy and commitment enables him to help out in defence as well. 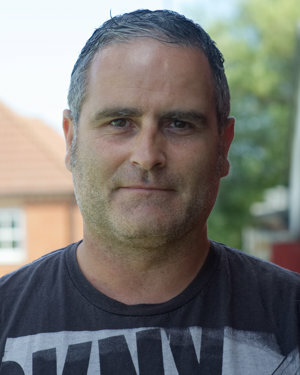 Aaron is currently working as a coach at Middlesbrough Foundation having previously held the same position at Sunderland AFC. He is a pacy midfielder who can play on the either side or down the middle. Has been known to post the odd video on YouTube of himself doing football tricks. Previous clubs include, Washington, Seaham Red Star and Easington. 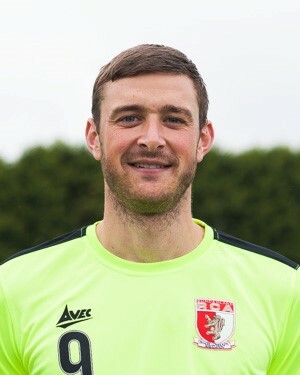 Clayton in now into his fifth season at the club. He is a dynamic, speedy winger / defender who loves to take on defenders. Clayton is also a great crosser of the ball and chips in with the odd goal. He is one of those rare breed of players who always has a smile on his face and is great to have around. Previous clubs include Washington, Hebburn and Ryhope CW. 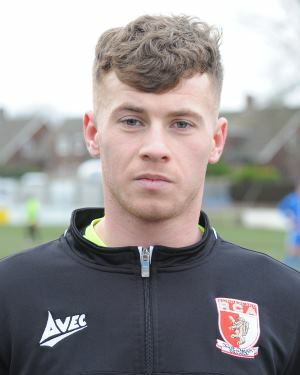 Jonathan begins his third season with RCA after signing from Shildon. A naturally gifted midfielder he possesses a vast repertoire of passes, is good in the tackle and is powerful in the air. 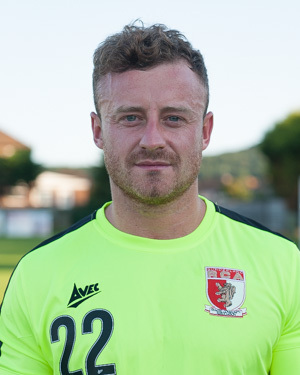 He has played extensively in the Northern League and higher - his former clubs include Hebburn, RCW, Durham, Darlington and Shildon. Mark Davison needs no introduction for Northern League football fans. 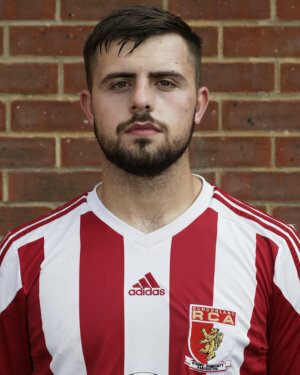 A strong and direct centre forward who can be relied upon to score with head and feet as well as setting up opportunities for others, Sparky is returning for his third spell with RCA. We are delighted to have him back. Mark's travels have taken him to Ryton, Washington, Spennymoor and Morpeth. Dylan, who is now beginning his third season with RCA, joined us from Easington Colliery. He was at Sunderland AFC from the age of 8 to 15, before joining Hartlepool United on a scholarship from the age of 16 to 19. 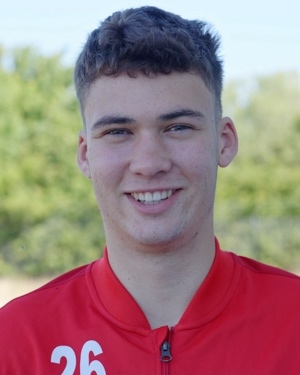 Dylan has also had Northern League experience, spending two months at Bishop Auckland, and is an excellent signing for RCA. Dylan was named Sponsors' Player of the Season for 2017-18. 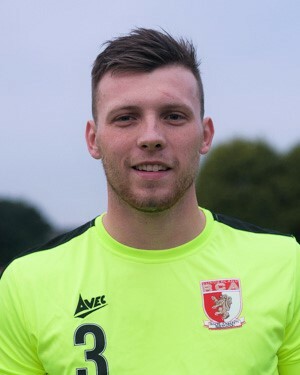 Craig is now into his third season at RCA having previously played for Dunston UTS and Bishop Auckland. He can play as a central defender or in the centre of midfield and he is equally effective in either role. He reads the game well, is good in the air, loves a tackle and has the vision to pick out attacking passes quickly. 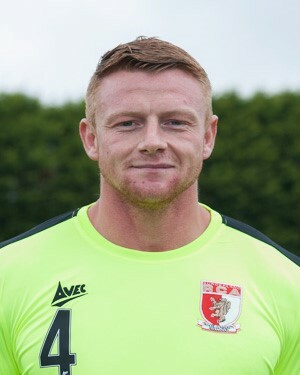 Craig was joint winner of the Management Player of the Season award for the 2017-18 season. Tomas has signed on a work experience loan deal from Sunderland AFC. He is a defender who is equally at home playing on either the right or left side of defence and has been known to play as a central defender if required. A versatile individual who is learning his craft quickly and is well thought of at Sunderland AFC. 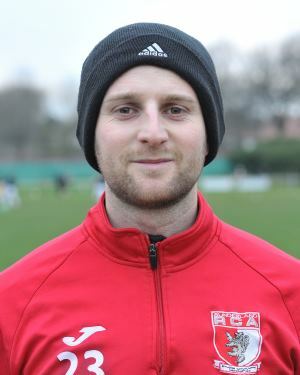 John had three seasons at Meadow Park after transferring from Team Northumbria, leaving us for two years at Bishop Auckland - and now he returns for his second spell at Maedow Park. JJ is Mr Reliable, a tenacious tackler who has a great engine and loves to overlap. 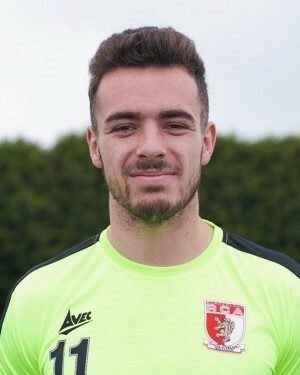 He is well respected throughout the Northern League and has proved time and time again that he has the ability and the quality to play at this level and above. A likeable lad off the pitch, he is not to be trifled with on it. 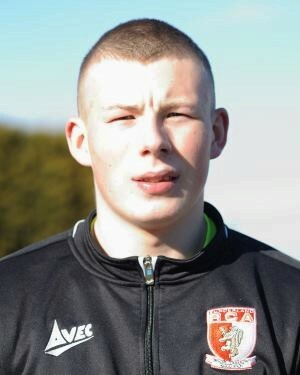 Andy, a tall and powerfully built goalkeeper, is on a Sunderland College Sports Scholarship, which he began in September 2017. From Tenerife, where he played in the Under 19 Spanish League for UD Los Zocas, Andy is originally from the Czech Republic. 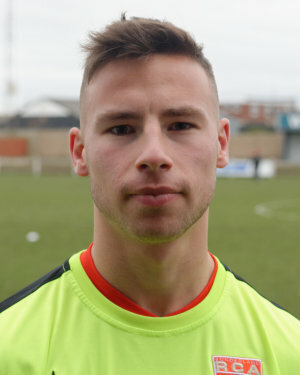 Jordan has signed from Consett. He is a strong left sided player equally at home playing as a full back or as a wing back. A strong tackler and good passer of the ball he is also very adept in deadball situations. Sam is a Ryhope lad who turns 19 in November 2018. He played for Middlesbrough up to the age of sixteen and then at Scunthorpe from 16-18. A strong centre half who can read the game well, Sam's key strengths are his passing and pace. 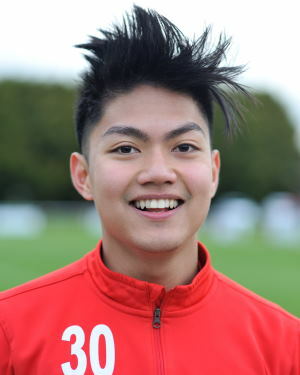 Dimitri, who is from the Phillipines, is on a Sunderland College Sports Scholarship, which he begun in October 2017. A lively winger who can also play the number 10 position, Dimitri played for Koya FC and the national Under 23s in the Phillipines. 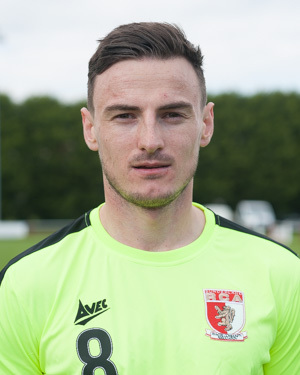 Tom is a winger / striker who has played for Middlesbrough, Consett, Bishop Auckland and Newton Aycliffe. Has also played for Northern Ireland U17s. Strong, quick and direct with a keen eye for goal, he is a good addition to the squad and adds depth in a number of positions. Ross starts his third season with the club after returning from Billingham Synthonia. 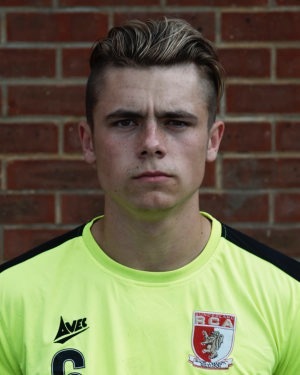 A left sided player, Ross has developed into a very good full back who is equally at home playing in the centre of defence. Defensively he is very competent, loves to get forward in support of his midfield and has a great range of passing. Injury free he is a great asset to the squad and a pleasure to have around the club. Dom, who has just returned to Sunderland from four years at Wolverhampton Wanderers has a strong footballing upbringing. He played for SAFC 7-9s, the Sunderland Sunday League for Nissan and from 13 to 14 was at Hartlepool, fitting in a trial at Manchester United. Dom can play striker, midfield and full back. His key strengths are his hard work and commitment to the team. Long term RCA fans will remember Dom attending RCA matches as a youngster, when his father Glenn played for us. This is Nathan's third season at RCA, having signed from neighbours Ryhope Colliery Welfare. Tall and dominating in the air, Nathan is capable of scoring all kinds of goals, from two yard tap-ins, and headers to 25 yard screamers. 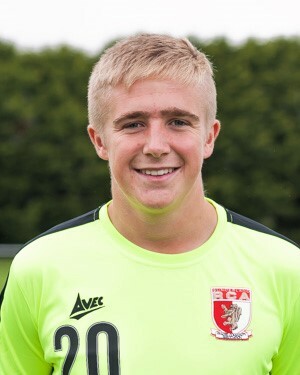 Luke signed for RCA from Easington Colliery and is now in his third season at RCA. 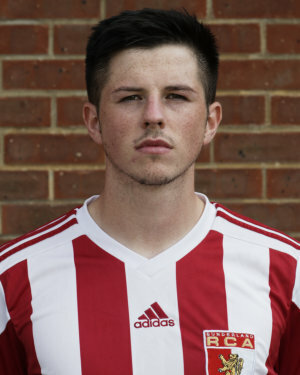 Luke is a strong tackling, powerful central midfielder who can quickly turn defence into attack. 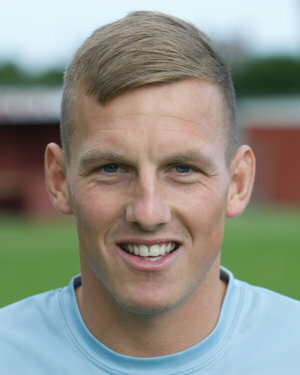 Luke was joint winner of the Committee Player of the Season award and the Fans' Player of the Season in 2017-18. Anthony joins us from Sunderland AFC's Under 23s to broaden his experience. 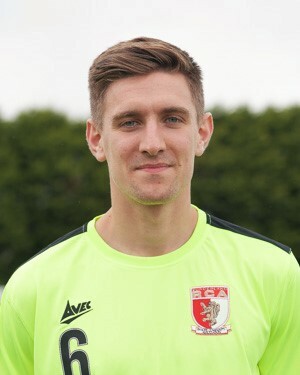 He is a brave, committed and passionate goalkeeper who has been in Sunderland’s youth system for a few years now. A star performer in Sunderland under-16 side during the 2015-16 campaign, Anthony was praised for his efforts as he was awarded the Special Recognition accolade at the club’s Academy Awards ceremony in May 2016. 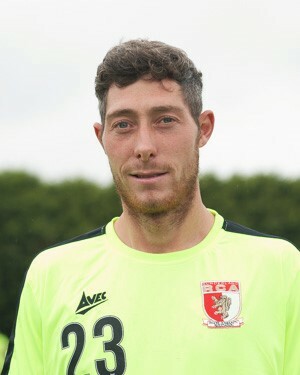 Ross begins his a third season with the club after returning from Washington. He returns to Meadow Park to reunite his partnership with "Swanna". Ross is a powerful centre back who is good in the air, is a good distributer of the ball and has the ability to read the game and make it look easy. He is cool under pressure and is rated very highly at SRCA. 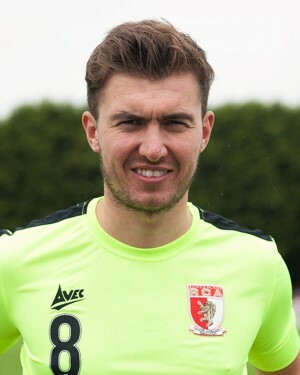 Ross was joint winner of the Sponsors' Player of the Season Award for the 2017-18 season. 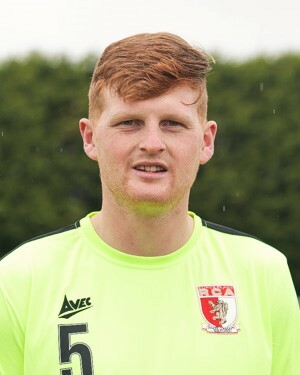 Sam, from East Herrington, played for Middlesbrough, joining them as a 7 year old, before joining Sheffield Wednesday where he played for the Under16s and Under 17s. Sam, who is strong and pacy and who likes a tackle, is principally a centre half, but can play across the park. Greg starts his third season with RCA since signing from Washington and now captains the side. At 6'4", Greg is a powerful, imposing, no nonsense, old school central defender. As expected, he is good in the air, but he is also deceptively good on the ground with great awareness of situations as they develop. 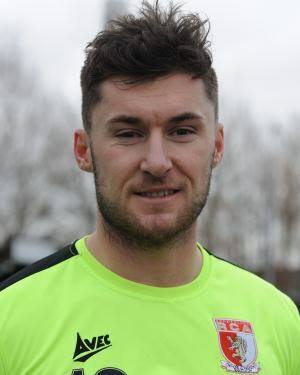 Greg was joint winner of the Management Player of the Season and winner of the Players' Player of the Season awards in the 2017-18 season, a testimony to his leadership on the pitch. 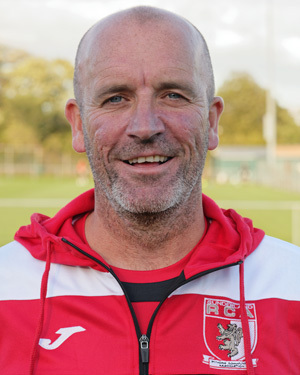 Sunderland RCA's manager Martin has a wealth of Northern League experience both as a player and as a manager. He managed the very successful Ryhope Colliery Welfare team who in Season 2010-11 won all four competitions in the Wearside League. Repeating the feat the following year and also clinching promotion for RCW to the Northern League Division 2. He has also managed Bishop Auckland for a short time. He is passionate about his football, especially in the local area, and instills a sense of belief in his players. Now in his fourth season with RCA “Gee" returned to the club that he played at for a number of seasons. He was also a member of the very successful Easington CW FC team which reached the first round proper of the FA Cup. Gee has been assistant to Swaz for a number of years now and complements the manager's style with his own flair. Rarely see him without a smile on his face. 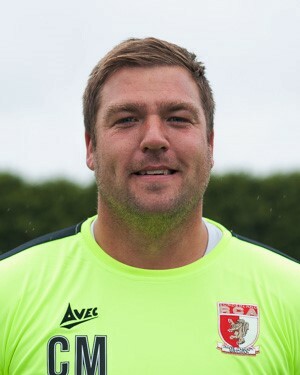 Mark has been a big supporter of RCA off the field and has now jumped over the fence to join the football management. After a bad knee injury put pay to his footballing career as a youngster, Mark, from Birtley, ran teams in the Gateshead and District Sunday League. Mark brings commitment, energy, enthusiasm and management experience to the organisation of the team. Now into his fiftth season with RCA, Colin is the epitome of a professional, and his influence is seen throughout the team. 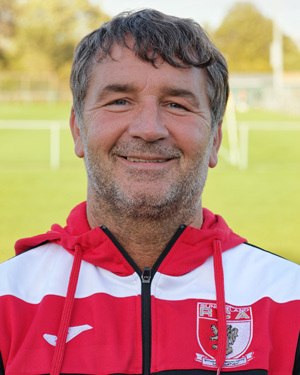 Colin's previous clubs include West Auckland, Wolverhampton Wanderers, Kidderminster Harriers (loan), Alfreton Town, Chesterfield, Northampton, Hartlepool, Lincoln City, Harrogate Town and Gateshead. He leads by example on and off the pitch and his enthusiasm for the game is infectious and the younger players in the squad will continue to learn from Colin. 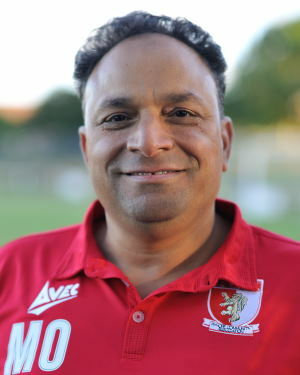 Mohsen is a local business man who has run local football teams in the Sunderland area and has been recruited by Sunderland RCA for his ideas on young local footballers to come through the junior systems. Mo is currently doing UEFA B badges and has lots of connections with his national football team, Egypt, who he follows whenever he can. Mo will be a great asset to RCA with his local and training knowledge. 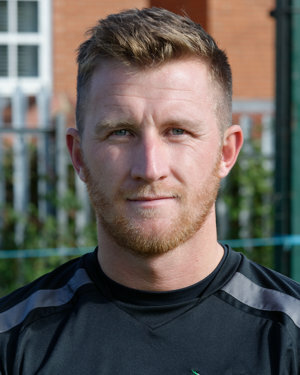 After a couple of seasons playing in goal for us, Carl returned to RCA as goalkeeping coach for the 2017-18 season. With a heart as big as his build and considerable Northern League experience, Carl is a tremendous asset to the club who is always ready with an encouraging word. 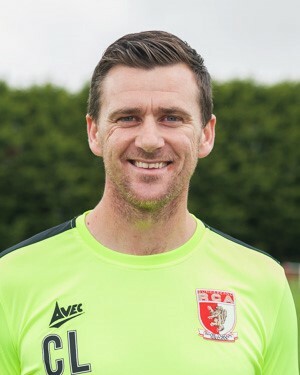 Lenny, who has joined RCA as a goalkeeping coach, played Northern League football for most his career and worked with Martin Swales as a coach at Ryhope CW and Bishop Auckland. 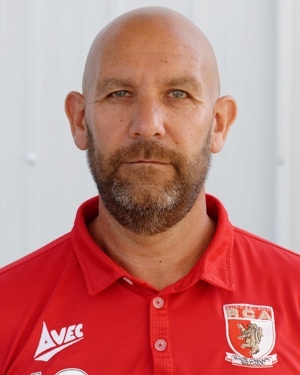 With considerable Northern League experience at Hartlepool Town, Chester-le-Street, Esh Winning, Washington and Ryton, he's a great addition to our team.